Mercedes-Benz India today announced its plans to increase prices for their vehicle range in India by 1 to 3 per cent, effective from January 14. 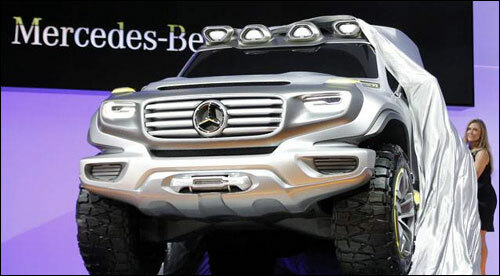 Eberhard Kern, MD & CEO, Mercedes-Benz India said, "Rising inputs cost, volatility of the rupee-euro, high interest rates and other associated factors have put significant pressure on us. Consequently, we are forced to share a part of this burden with our customers and we will increase prices of our vehicles to the tune of 1-3 per cent from January 14. However, to support the purchase decisions of our discerning customers, Mercedes-Benz Financial Services will be supporting them with various finance options." The price of the B-Class will be increased by 1 per cent, C and E-Class sedan prices will be up by 1.5 per cent and the S-Class sedan will see a price rise of 3 per cent. The M-Class SUV will be dearer by 3 per cent and the CBU range of vehicles comprising the CLS-Class, SLK-Class, R-Class and the SLS AMG will be costlier by 1 per cent each. Meanwhile, the company announced its sales achievement for January to December 2012, in terms of overall sales in luxury cars in India (range of car price upwards Rs 30 lakh). During the period, Mercedes-Benz India sold 7,138 units as wholesale (number of unit sold by manufacturer to its dealers). Kern said, " Our sales performance has been in-line with expectations. We have managed to retain our profitability and premium in 2012."